Accent Piece is described as an orange pumpkin shimmer. This one I thought was the ugliest out of the collection. Surprisingly, I don't hate it as much as I thought I would. I think it would look cool with some autumn leaves nail art or something. The formula is easy to use. I used two coats for my swatch. 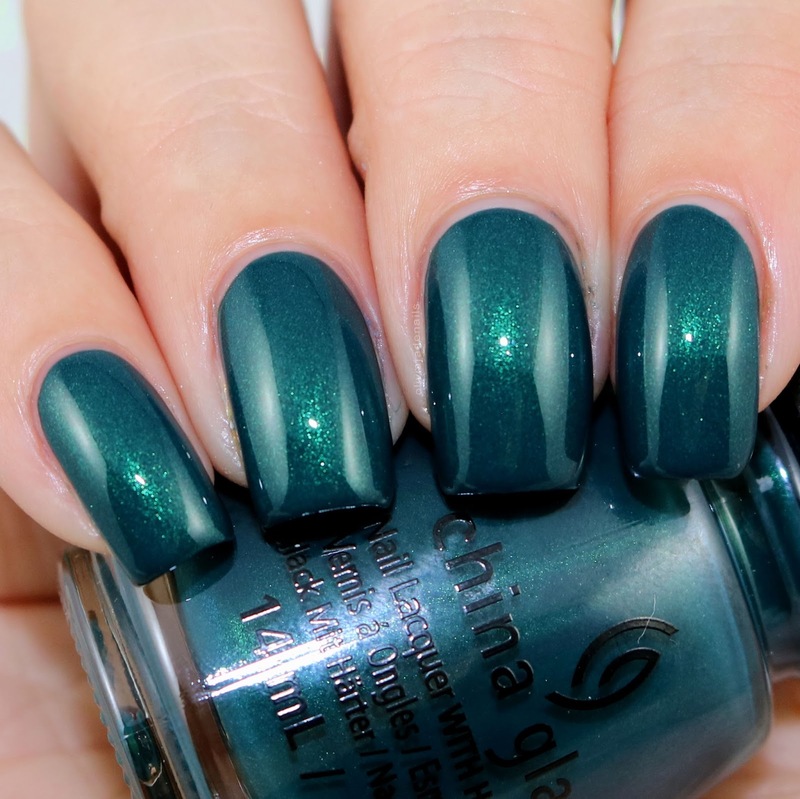 Baroque Jungle is a dark emerald shimmer. I am a big fan of this one. The formula is amazing (you could easily get away with one coat) and the colour is so pretty. My swatch shows two coats. Born To Rule is a royal blue creme. Love the colour of this one. I was hoping that the formula would be an amazing one coater, but it's not. It does apply unevenly on the first coat, and is still see through at the tips in direct light. My swatch shows two coats. Dawn Of A New Reign is described as a dim-violet creme. This polish is amazing! It's a gorgeous colour and is a one coater! That's right! One coat and it's completely opaque! Glamcore is described as a maroon-purple shimmer. Big fan of this one, although I think this would be better on shorter nails. There is just something about these dark vampy colours that I think needs shorter nails. The formula is easy to use and is a one coater providing you are careful. If you paint over the same spot it thins out the are (not to the point that it leaves a bald spot though). I used one coat for my swatch. Haute & Heavy is dark steel grey shimmer. I'm a big fan of this one too. This is another one coater. This one does have visible brush strokes which are more visible in person than they are in my picture. Just A Little Embellishment is described as a greenish-blue creme. Now the press release doesn't mention that this is a matte polish but it dries matte and I love it so much that I didn't want to add top coat. It's probably not as blue as it looks in my picture (that will depend completely on your screen - this swatch looks different on my camera, my phone and computer). If you have a super carefully application you could get away with one coat. I used two coats for my swatch. Rock N Royale is a blood red creme. 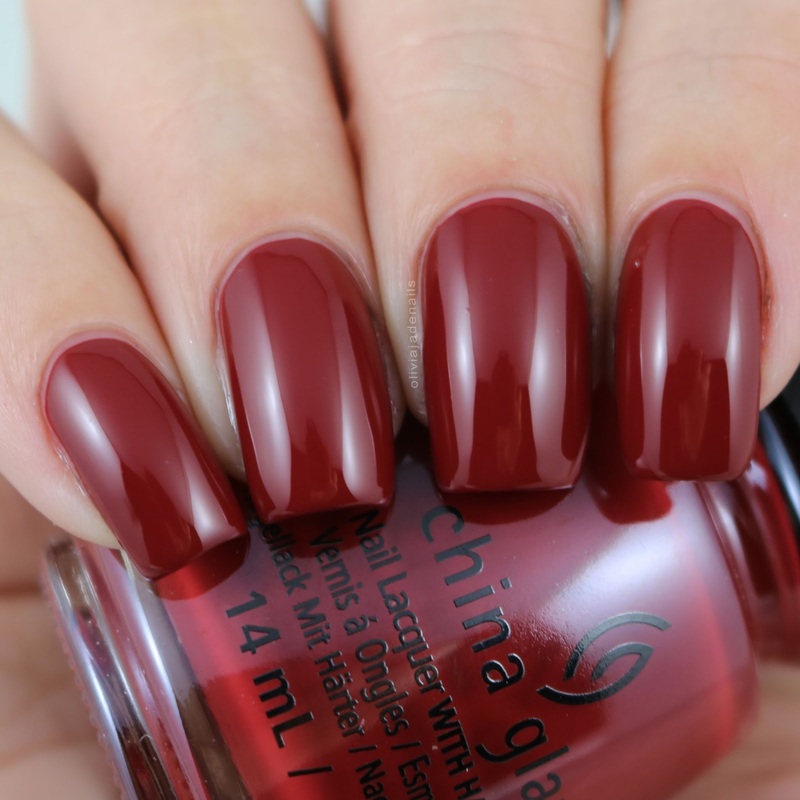 This is definitely a staple polish for everyone's Fall/Winter Collection. The formula is easy to use and so close to being a one coater. My swatch shows two coats. Royal Pain In The Ascot is described as a dark fuchsia shimmer. 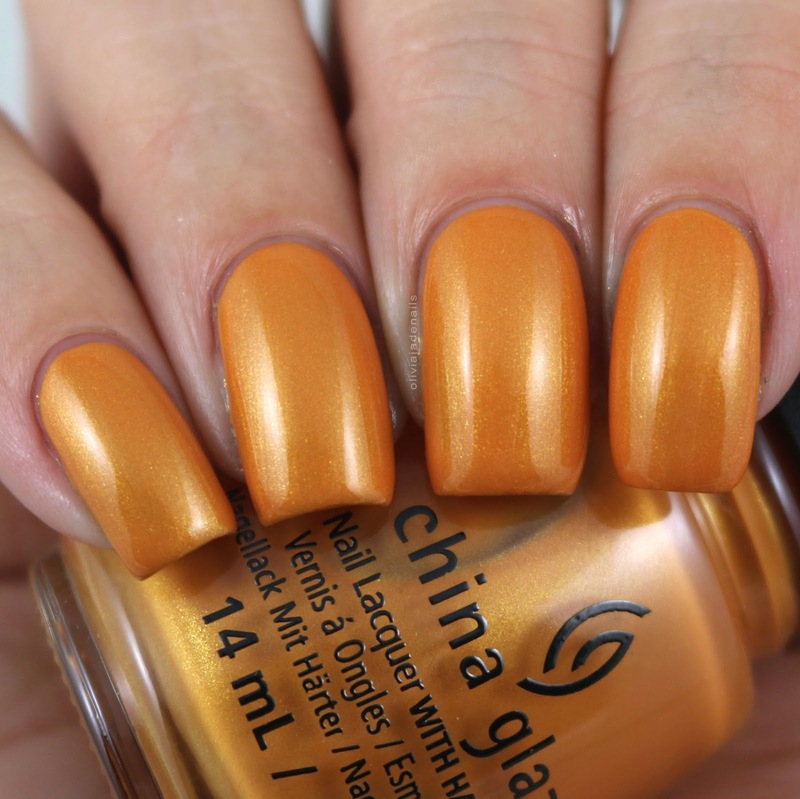 I think this is a gorgeous shade. Again, this one is super close to being a one coater (in fact you probably could get away with one coat especially on shorter nails). I used two coats for my swatch. *note: the second picture isn't entirely colour accurate but it does show the pink within the polish. Street Style Princess is a grey creme. Great colour with a great formula. It's close to a one coater today. I used two coats for my swatch. Throne-In' Shade is an ecru creme. I think this is such a nice neutral shade. The formula is great and easy to use. I used two coats for my swatch. Truth Is Gold is described as a good shimmer. I feel like a bit of a broken record here. This one is easy to use and close to being a one coater. It does have visible brush strokes (which again are more obvious in person than what they look in my picture). I used two coats for my swatch. Now as I mentioned at the beginning of this post, I wasn't overly excited about this collection when I first saw it, but boy oh boy I have singing a different song now! I think this is an awesome Fall Collection. The colours are great and the formulas are amazing! This is how all formulas should be. I could list a bunch of my favourites but honestly that would be the bulk of this collection. The ones that I like least in this collection are Accent Piece, Truth Is Gold and Rock N Royale (mainly because I am not a red fan). What do you think of the Street Regal Collection? 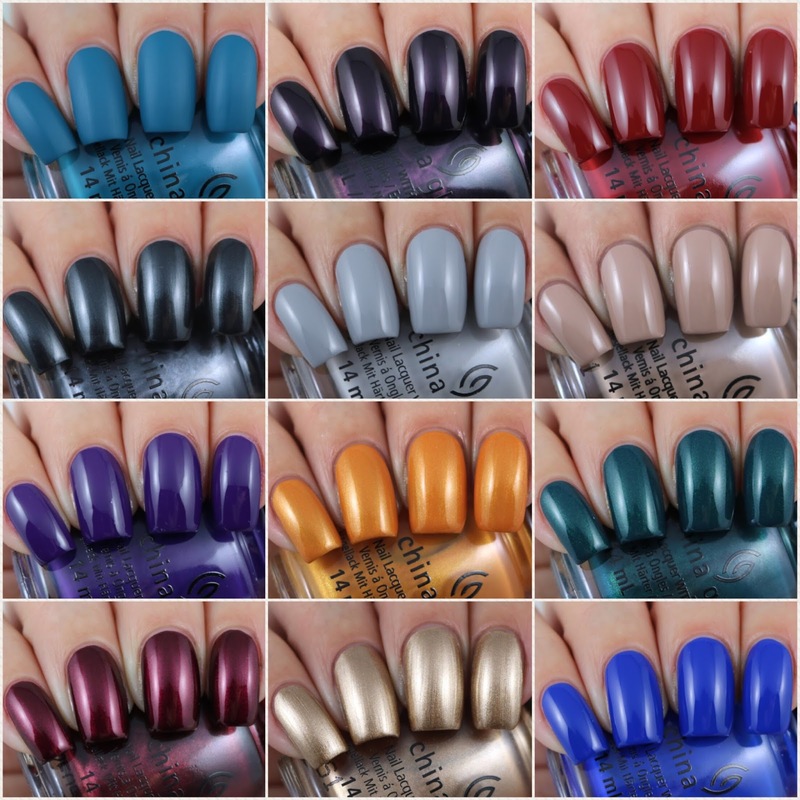 Are you going to be grabbing any of these shades? I only grabbed accent piece. Funny that what you weren't excited for was the only one I liked! Thanks for your pretty swatches and review. I often love your swatches because you don't have overly lightened whiteywhite pictures but real colour and good darkness here! Thank you! My aim is to make the polish look as accurate as possibly. I figure that is the most important thing when looking at swatches online. Thanks for the swatches! I've got my eyes on Street Style Princess, Baroque Jungle, Royal Pain In The Ascot (worth purchasing for the name alone) & Dawn of a New Reign. I hear you on Accent Piece - orange is not my colour in general (same goes for brown), which is probably why I generally don't like Fall polish collections. How awesome is Royal Pain In The Ascot for a name? I love it! I am hearing you with browns and oranges. There are certain ones I like but for the most part I don't use them. It's such a great collection isn't it?